Was a dominate style for smaller houses built in the early 20th Century. One, one and one-half and two story versions were built but the one story version was most prevalent. 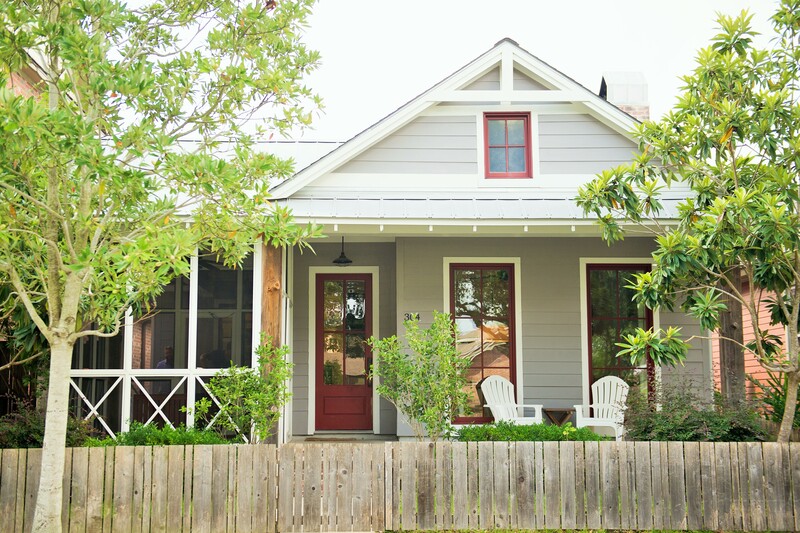 Popularly known as bungalows, this style can still be found in the cities, towns and villages and rural areas of Southwest Louisiana. Was common in towns and suburbs throughout the country in the early 1900’s. It is one of the few truly indigenous American Styles. The various types range from very plain to high style and frequently have two stories. 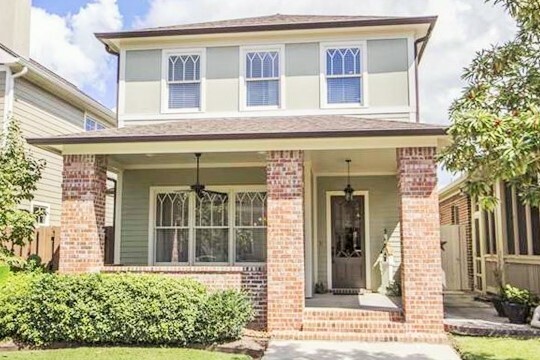 Numerous Prairie style homes are evident throughout Louisiana, particularly in Lake Charles, Alexandria and New Orleans. Evolved from the early 1800’s, migrating from the country farm to suburban estates and eventually to narrow urban lots. These homes can be very small and simple or very large and complex. A major distinguishing feature of farmhouses are the roofs which can be front gable, side gable, a combination of both, or pyramidal. A Live-Work Unit is a multi-use commercial building with common sidewalks. It contains a dwelling unit above or behind the commercial element, which most often serves as retail, or office space. To maintain pedestrian continuity required by commercial establishments, alleys and rear parking normally serve these unique units. Living areas can be utilized by the owner or rented out to generate income. The live-work unit is also knows as a flex-house. A Townhome is a single-family dwelling, most often 2 stories in height, having common sidewalls. Some offer private yards or patios and front pedestrian continuity is maintained by utilizing rear load garages. Ownership is fee simple. These efficient living areas are also known as row houses. A cottage is a single family rectangular shaped dwelling smaller than a house. Most are 1 or 1.5 stories and can accommodate modest size porches. Those having larger porches are known as bungalows. When rear-loaded, the cottage is often separated from the garage by a small yard. A courtyard home is a single family dwelling that encloses a private courtyard on two or three sides. Normally these functional houses are “L” or “C” shaped in order to shield the private realm from the public realm. Garages may be attached or detached. Courtyard homes are also referred to as patio homes. A Porte Cochere customarily is a dwelling having a covered attachment for parking near the front of the house. As envisioned in OLDE TOWNE where most parking is rear loaded, this home type will actually be a “faux porte cochere” where the area normally used for parking will serve as an outdoor living area. It will function similar to a side yard house and will be “I” or a reverse “L” in shape. 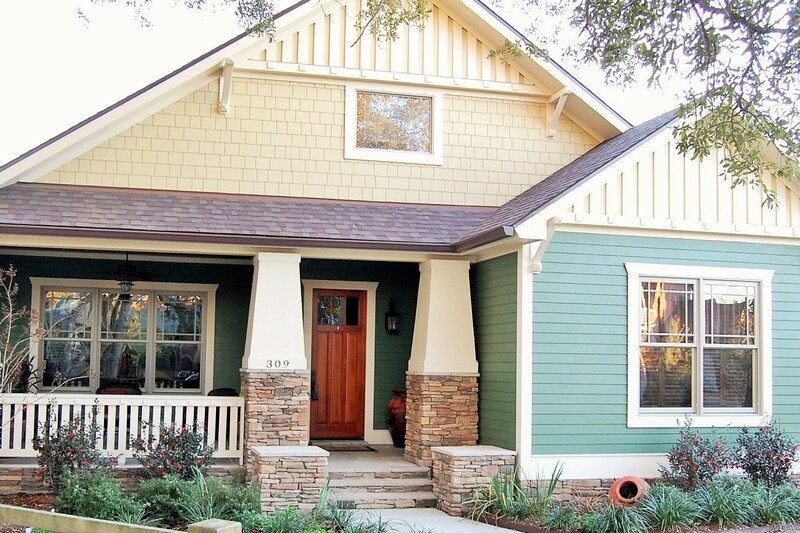 The porte cochre is a popular addition to many craftsman bungalows. A manor home is a large single family dwelling, normally built on large lots. These homes are basically rectangular in shape and often supplemented by an outbuilding or back building such as a cottage or garage apartment. Garages are almost always detached from the manor home. Villa and chateau are terms that may be used to describe this house type.